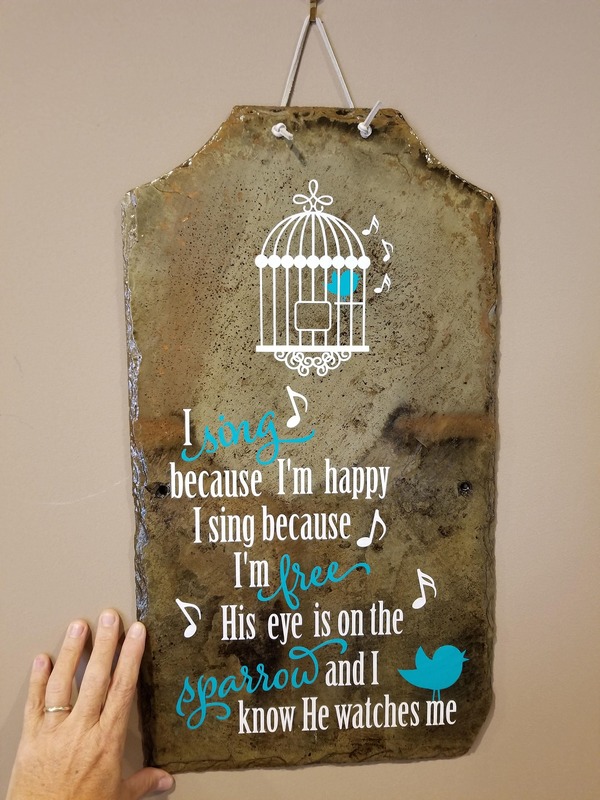 This "I Sing Because I'm Happy" decorative slate sign was created using a slate from a barn in Slippery Rock, Pennsylvania. 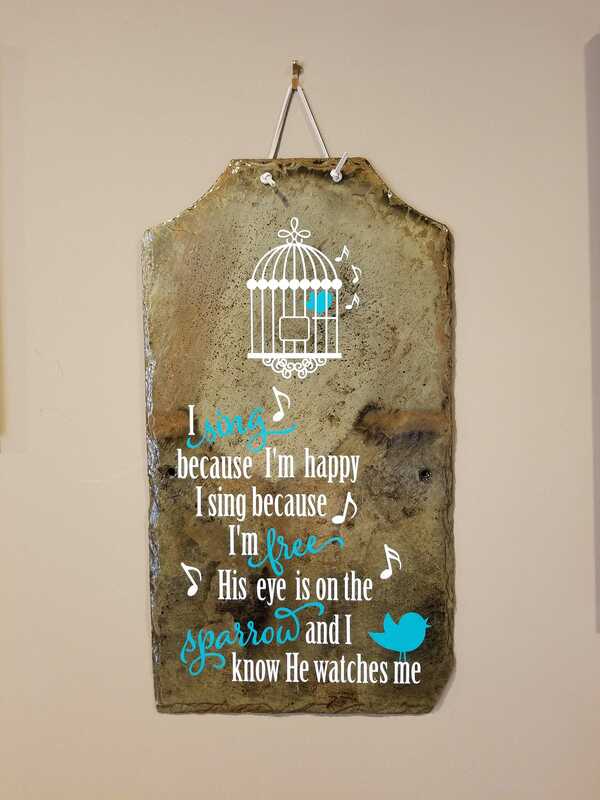 Each one is unique and the slate coloration varies from piece to piece, but each is beautiful! 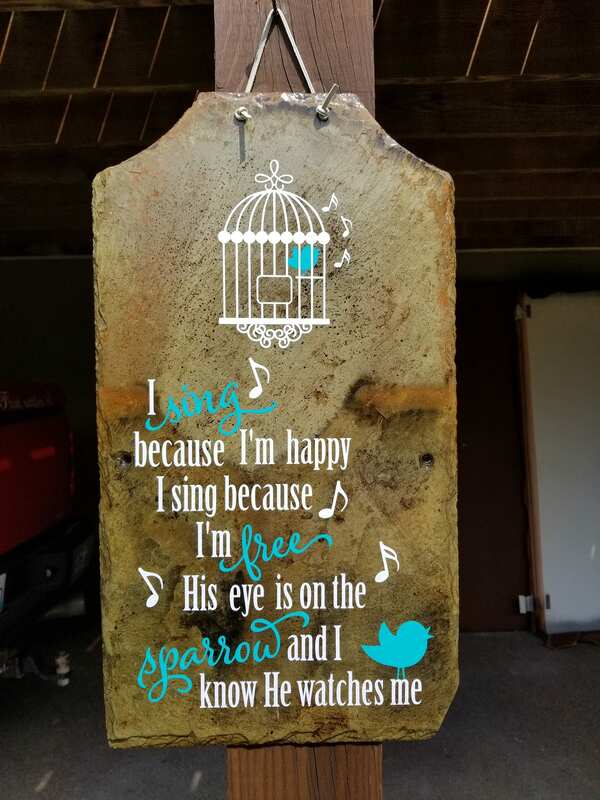 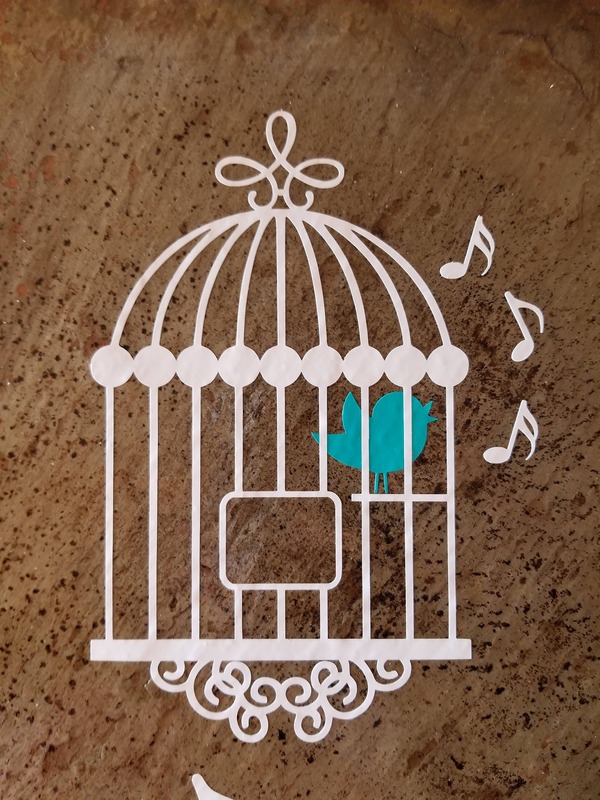 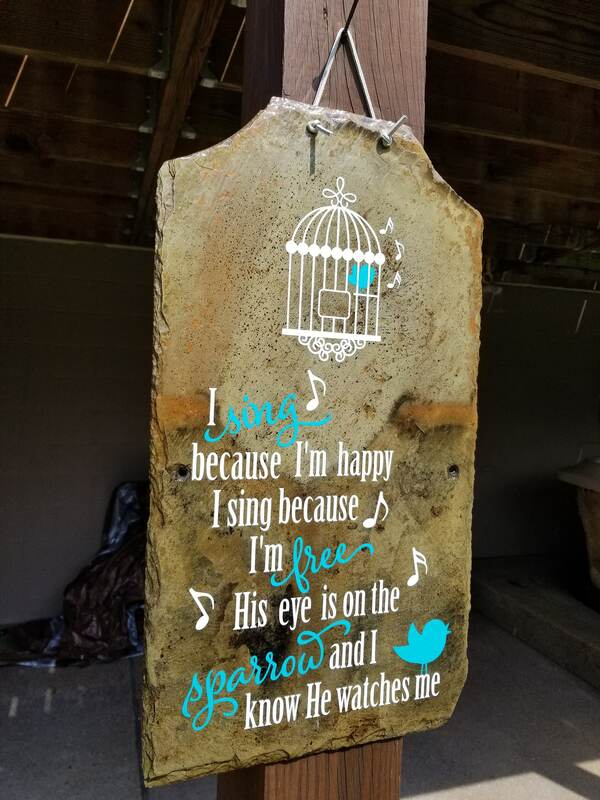 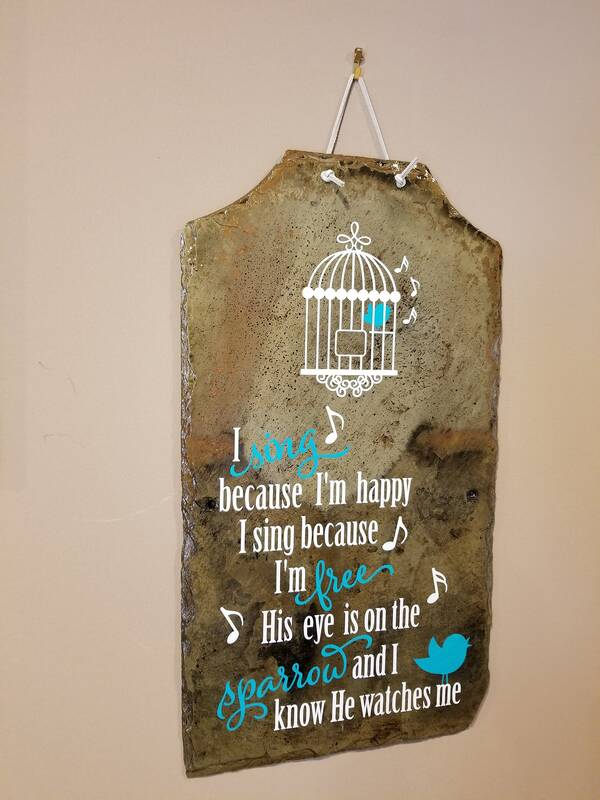 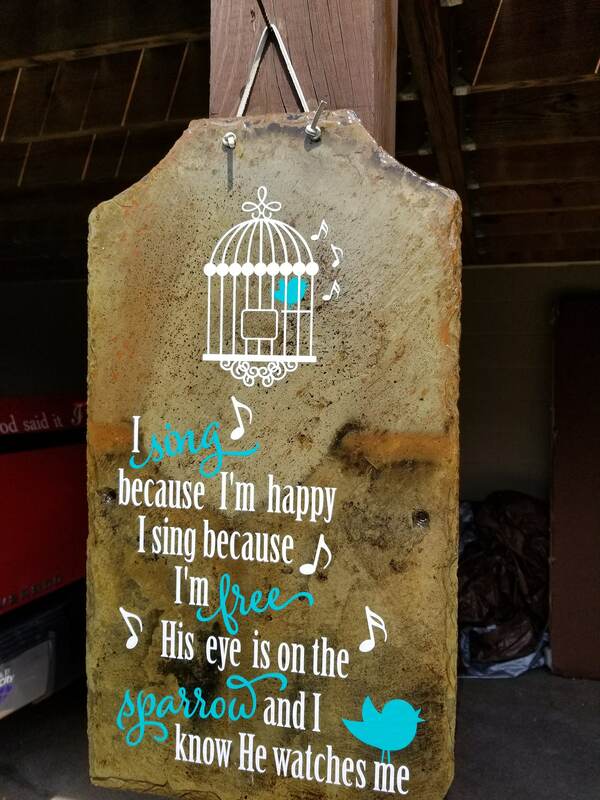 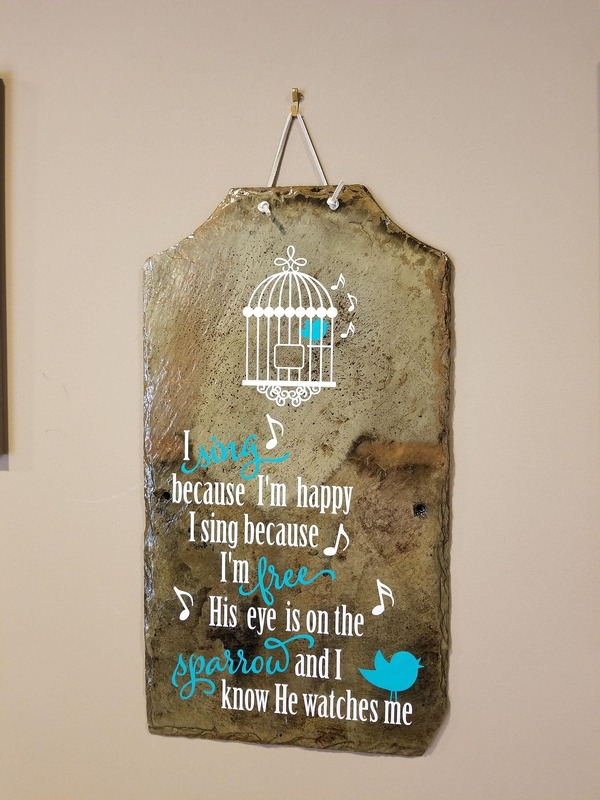 This decorative slate would make an excellent gift for a music teacher, choir director, Christian singing artist or even someone who just loves to sing in the shower!